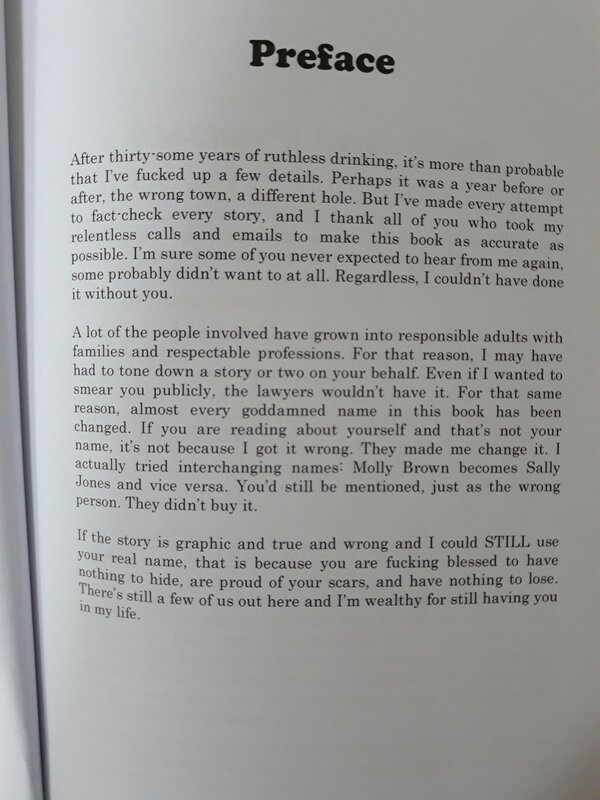 As I recently mentioned the preface to the novel I Hate The Internet (though, yes, Kobek does call it a “note”), here’s another good one (and tellingly on the same subject) from Doug Stanhope’s book Digging Up Mother: A Love Story. Towards the end of Stanhope’s book, when he writes about his mother’s last few hours, it resonated with a book I read last summer: Atul Gawande’s Being Mortal. Both books deal with the death of a parent: a mother in Stanhope’s case; a father in Gawande’s. They deal with it very differently mind you. But what comes across in both books – the best way I can describe it – is the trust that is established, in the end, between the person living and the one dying. That’s not a trust the books suggest, by any means, is easily won or everyone will achieve. But Stanhope and Gawande at least give us a chance to see it exists, and that it might be achievable to the extent our different situations and circumstances allow.